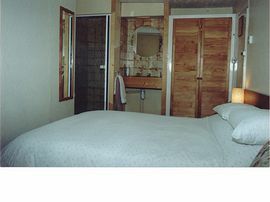 On holiday or business, enjoy the relaxed and friendly atmosphere of this small guest house. Situated close to the sea, town centre and tourist attractions. Established for over eighteen years it is highly recommended. 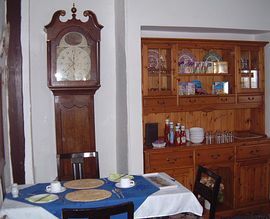 A warm welcome awaits you at this small and friendly guest house. For the comfort of others Smoking is not permitted on the premises. 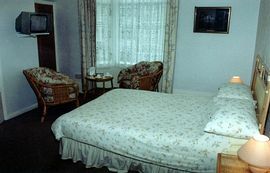 All the rooms are Double glazed and have Central heating. Colour Television, refrigerator, (except the single room). Clock/Radio/Alarm. Complimentary tea, Coffee, Horlicks & Chocolate drinks. Naturally soap & towels are provided. Hair Drier and Iron/Ironing board are available on request. Established for over 18 years and highly recommended. By Car: Take the A23 to the Palace Pier, turn left onto the A259 for Rottingdean and Newhaven. Turn left at the first set of traffic lights, into Lower Rock Gardens. 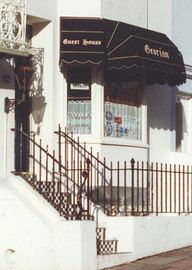 The house is on the left as you drive up the hill at the junction of Edward Street. OR you can turn left when you come to the Royal Pavilion and enter Edward St. at the first set of traffic lights turn into Upper Rock Gardens. Please note pArking is very difficult in Brighton and parking near the house may not be possible. Or you can catch a number 7 bus. If you walk from the station it will take about 20 minutes. 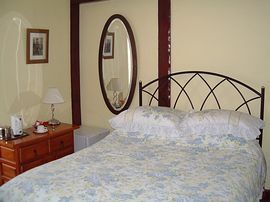 Prices from £30 per person per night.